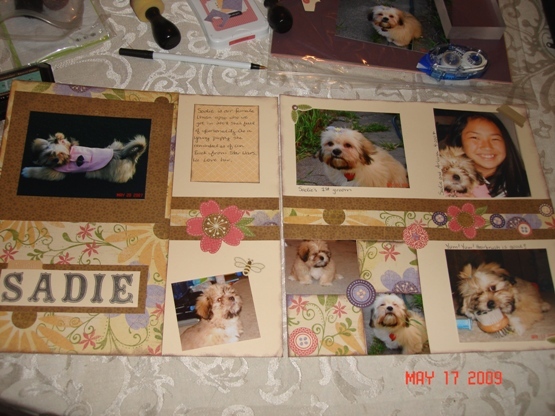 This is a 2 page layout of one of my doggies. I was pretty excited to finish this one as this is one of my first "real" layouts which I've completed. The paper and embellishments are from CTMH. It's one of their Workshops on the go packages. Due to some picture cutting errors I wasn't able to follow the exact layout in the instructions, but I like how it turned out. 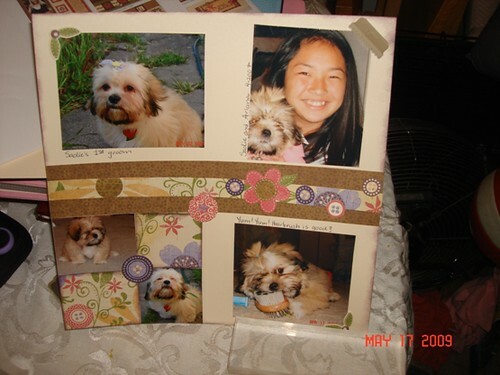 This layout has started me back on my scrapbooking bug. 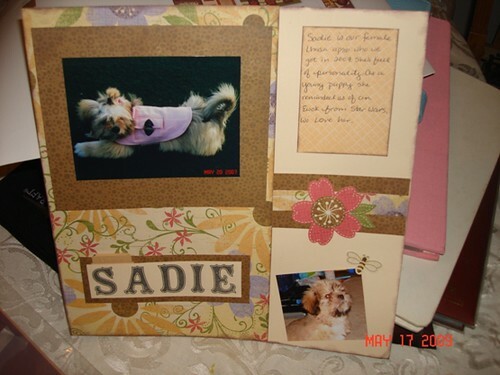 I"m planning on organizing all my photos and start figuring out ways to get into full on scrapbooking groove. 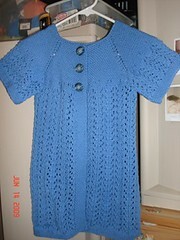 Here's is my 3rd February lady sweater which I made. This was for a graduation present for my friend. I had this finished way before her party but I was lazy on the buttons and sewed them on about an hour before her party.